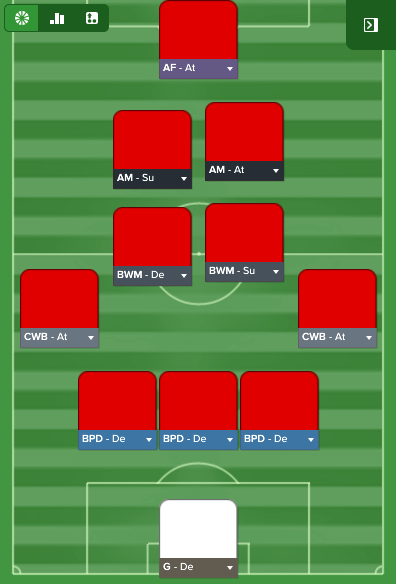 The best tactic I've created on FM 2017. 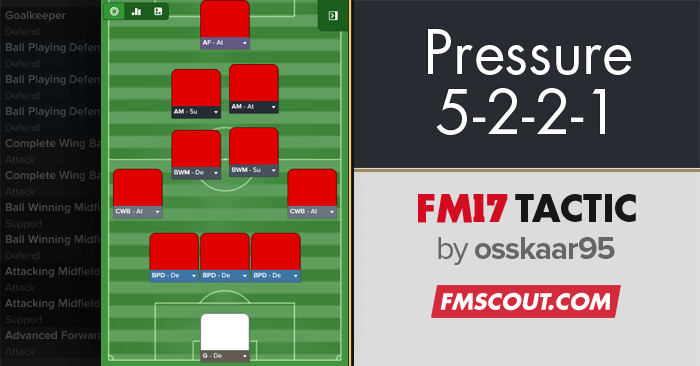 It's based on very high pressure with many players in the middle. Very good balance and the wingbacks exploiting the flanks. The tactic is inspired by Conte and Chelsea, I tested it at first with wingers instead of two central offensive midfielders, which I did not like because I thought it did not bring in the wingbacks to the game as I wanted, The problem was that they had the wingers in front of them and was not so offensive. 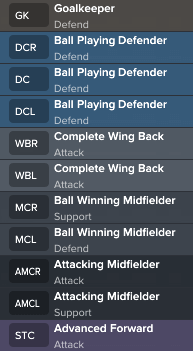 By moving in the wingers to offensive midfielders the wingbacks got the space to work with, and I managed to win many games. The high pressure often makes the opponent clear the ball and the it ends up with my defensive midfielders who cleans up. The tactic is very stable, I used it all the way throughout the seasons and it worked anyway, otherwise I try to vary as much as possible. I always use "ultra defensive" for the last 15-20 minutes at 1-0 leads and it worked well, very hard to penetrate. I used the tactic with Sunderland where I in my first season ended up in 4th place and secured CL qualification. Defoe ended up in second place behind the Zlatan in the "top scorers". In the second season, I used the same tactic and ended up in 7th place, I had some trouble playing in many cups like CL where I unluckily went out to Bayern in the first knockout round. I'm testing it right now with Preston in the championship and I'm in 2nd place after 8 matches so it seems to work here also (on the latest update). 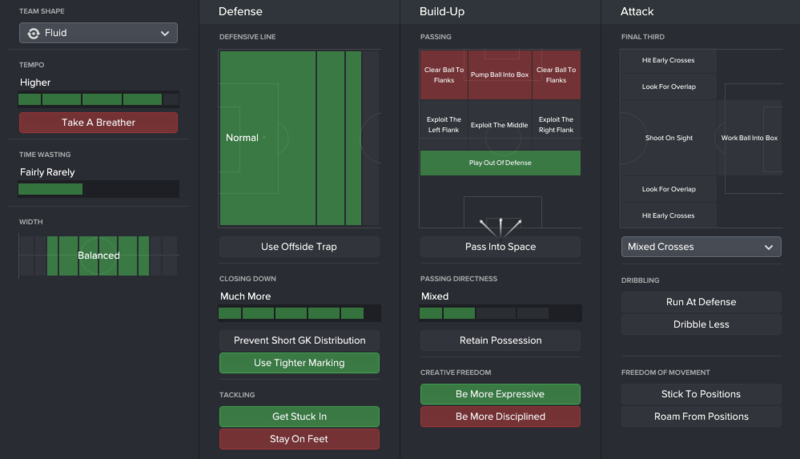 The tactic is overall very good, when I use it I always make sure to instruct the players to press the goalkeeper + defense + central midfielders (varies from opponent to opponent). These can of course be modified, but this is what I used and tested with several clubs. I did play this tactic with Prestpn in championship, I won the championship in the first season, I got the manger of the year award. I finished at 14th in the PL in the second season but i did manage to win the EFL cup against Man Utd in the final. I am now in the third season, i managed to quality to the Europa league and i am currently on my way to secure 2nd place qualification to the knock out stages. In the PL i am currently in 11th position but its early stages right now. Can you put some results from your own career with this tactic?